Trowles, Peter (2009) Charles Rennie Mackintosh and the Glasgow School of Art: The European Connection. 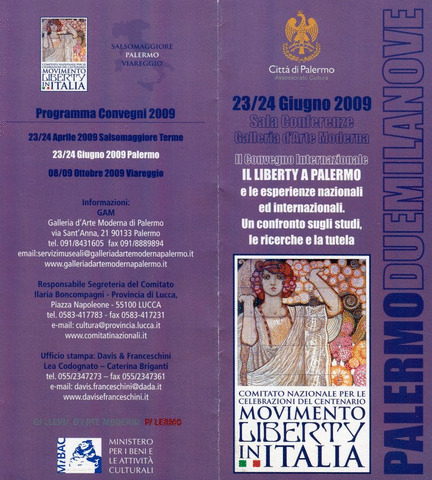 In: Il Liberty a Palermo e le esperienze Nazionali ed Internazionali, 23-24 June 2009, Palermo, Italy. An exploration of Glasgow School of Art's contribution to the development of new ideas in art, design and architecture across Europe during the years 1890-1910.